Save Up To 60% On Top Phones. ● Boost Mobile offers free shipping on all orders to anywhere in the United States. 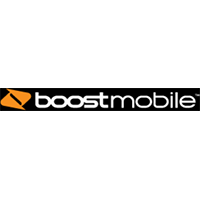 ● You can have your phone activated for free when you shop Boost Mobile cellphones. ● Boost Mobile’s “No Contract Plan” feature can let you save up to $55. ● Boost Mobile usually offers limited-time discounts on wireless phones which can be up to $70. Boost Mobile is known as one of the more economical cell phone service providers in North America. On their website you can browse through their entire shop which includes different mobile devices that you may want with your plan. You can also take a look at the individual plans that they offer in order t make sure that you are getting the right features for your needs. If you're contemplating whether you should switch to Boost or not, they also have a “Why Choose Boost” page where you can find important information about the features that they offer, why they're better, and how you can save on your monthly payments. For most up to date offers check out Boost Mobile on Facebook and Twitter or contact Boost Mobile Support for any questions.